Safety first mowing by the road! Zel likes mowing so much he’s hittin’ his high notes 🙂 . Everybody’s getting the floor ready for YouthWorks to come and paint for us! Thumbs up for our weekly activity fund counting! Oooh, food here we come! This week we took a trip to Happy Buffet. Laurice Hohlt brought us 2 Monarch butterfly chrysalises to hatch and release. They hatched and we released them into our pollinator garden! 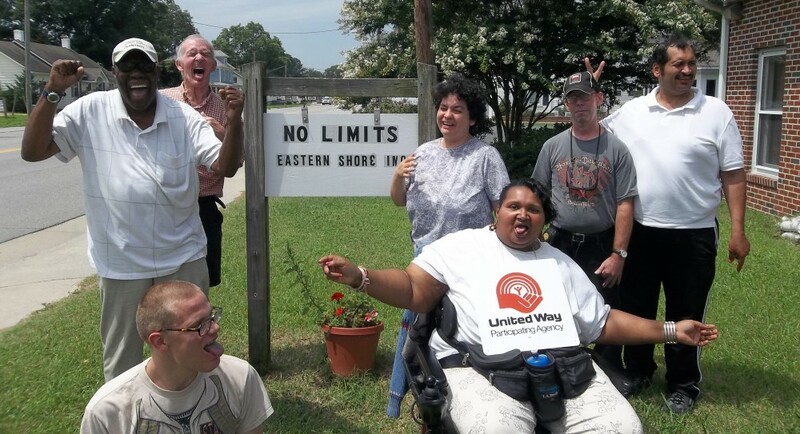 Thanks for this awesome opportunity Laurice – and thank you to the Eastern Shore Soil and Water Conservation District for awarding us grant funds to establish this garden! Calvin accepting delivery of his new bike to help him to get around! This bike was purchase through the VA DARS BIDS funding! Thanks DARS! Calvin, we can’t wait to see your new ride up and running!! !